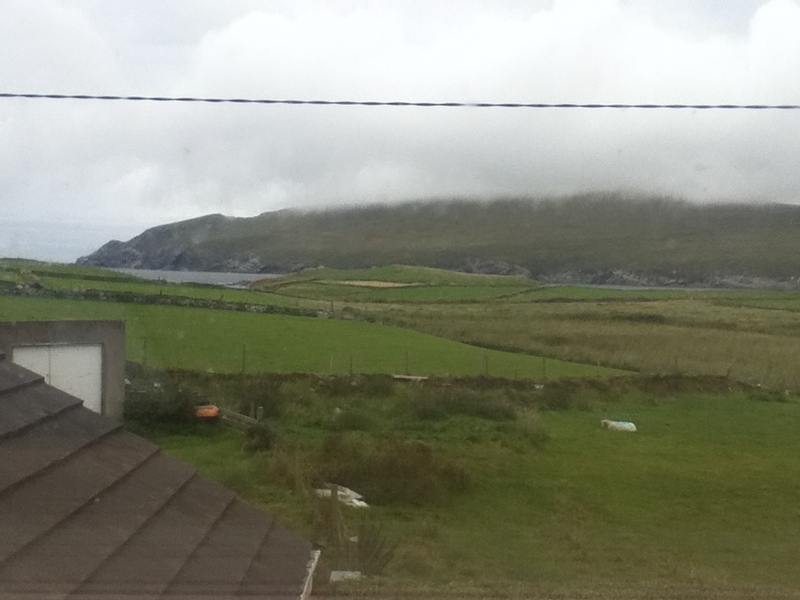 Today we left Dingle and headed along the “Wild Atlantic Coast” toward the Ring of Kerry. The day started off sunny, and has now cooled down quite a bit, but it is still nice weather. We stopped about half way at a beach and though I typically hate sitting around at beaches, I had a great time with the kids. The water was cold, but the tide was out and there was probably 150 meters of sand out toward the water (hard packed) and the beach was maybe 300 m long. Nathan found a small hermit crab, and upon inspection in the receding waters, we found way more. They were everywhere! Jenn occupied herself with shell hunting and the kids ran around, played in the water, and did whatever they wanted. It was cool out, so I wasn’t boiling, and there was so much going on it was a blast. I pointed out a thing that looked like a crayfish to the kids that may have attacked one of my toes while walking through the surf. There was also a playground at the beach, so the kids had loads to do before and after (and during) lunch. From there we continued our coastal drive and found the B&B. She was just finishing tidying up, so we walked to a different beach that also has lots going on – including shrimp in the shallow waters, and loads of rocks for building forts. After about half of an hour, where Shawn put on a rock skipping class, we checked in and got some info on the local restaurant scene (there is an O’Keefe’s in town and that is the place that the home owner recommended we go to as well). We are about to take another walk down to the local beach before heading into town for dinner and music.